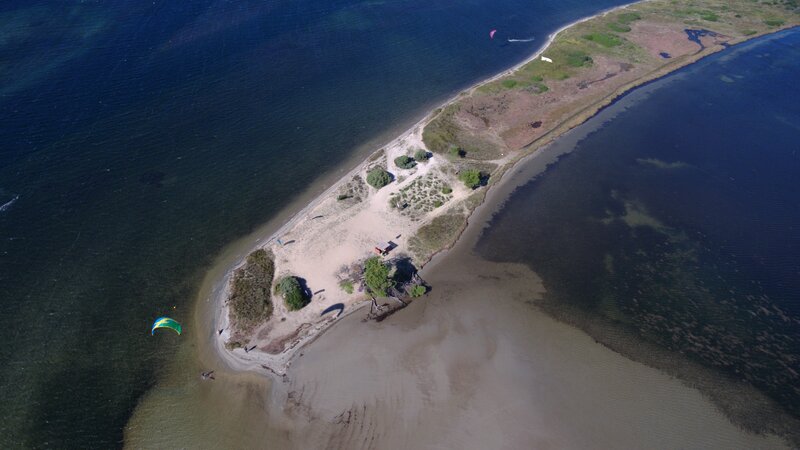 Are you looking for the perfect place for a memorable kitesurf session? 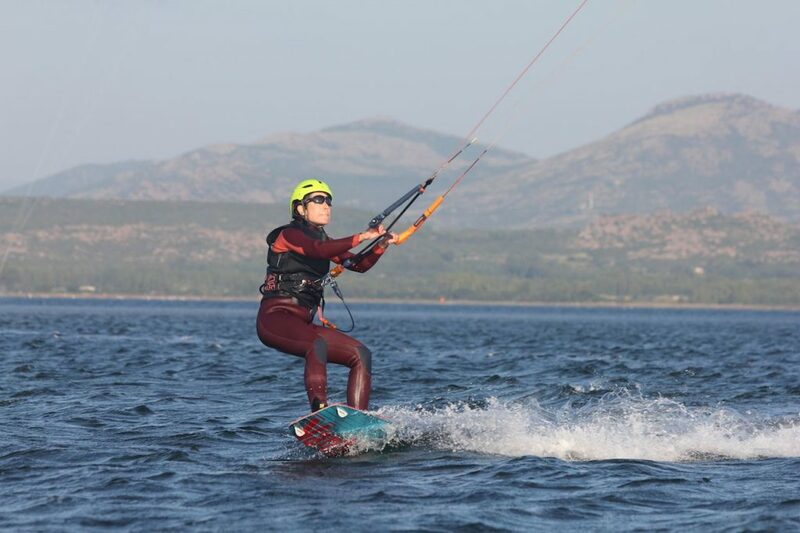 In recent years the practice of kitesurfing in Sardinia has increased considerably and the kiters are constantly looking for the perfect spot to practice this fantastic sport. 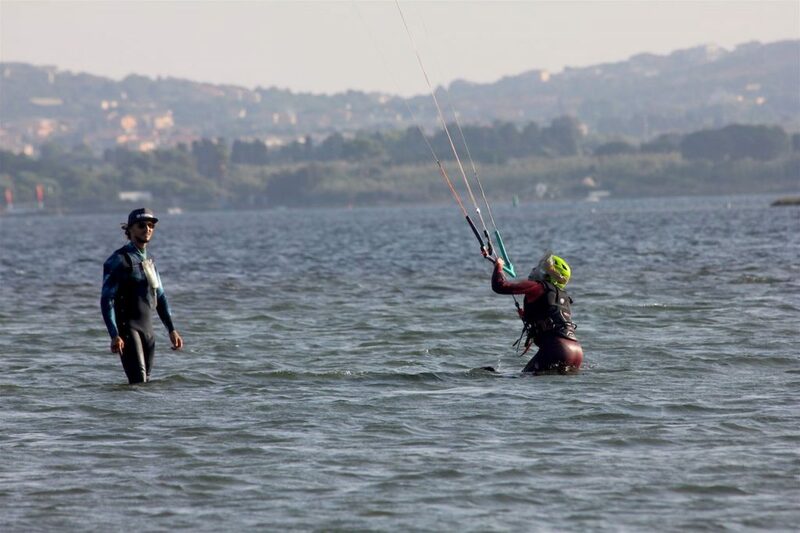 Southern Sardinia offers optimal conditions thanks to the mild temperatures all year round and a very high percentage of windy days, much more frequent than the northern coasts of the island. 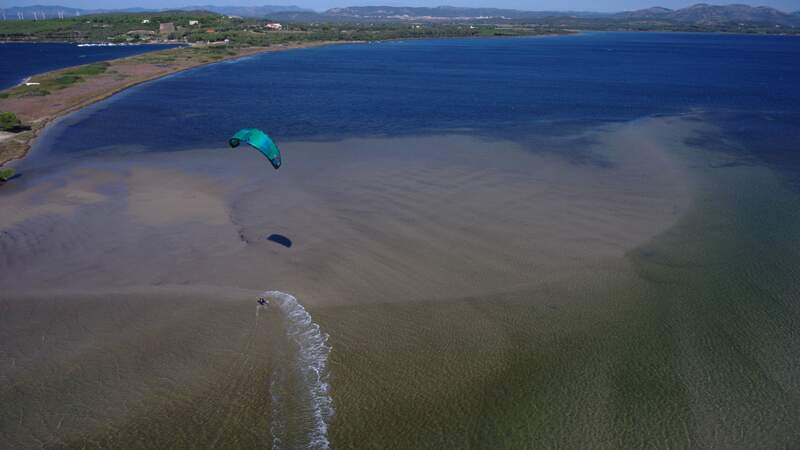 The kitesurf spot of Punta Trettu, located in south-west Sardinia, opposite the island of Sant’Antioco, in the municipality of San Giovanni Suergiu, is definitely the most appreciated place by kitesurfing fans, in fact its characteristics of shallow water, sandy bottoms and the perfect exposure to all winds make it without doubt the best kite spot in Sardinia. The wind statistics speak for themselves, without considering the fact that with the Mistral, which is the prevailing wind, from April to September, a very efficient thermal effect increases its intensity even by 10 knots on sunny days, so even when the prediction speaks of 5/6 knots from North West, at Punta Trettu most likely it will be possible to make a good kitesurf session. 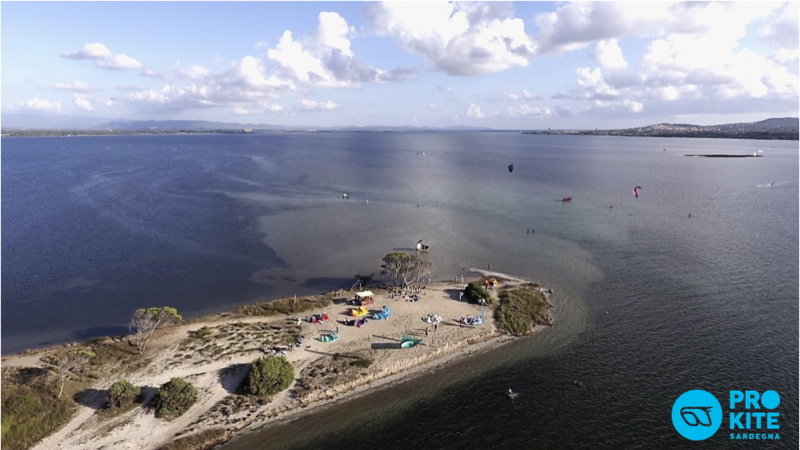 The safety is also one of the added values that this spot offers, in fact for a radius of 500 meters around Punta Trettu, the depths do not exceed 1 meter, making life much easier even for beginners who, in case of need always come back to shore simply by walking in the water. 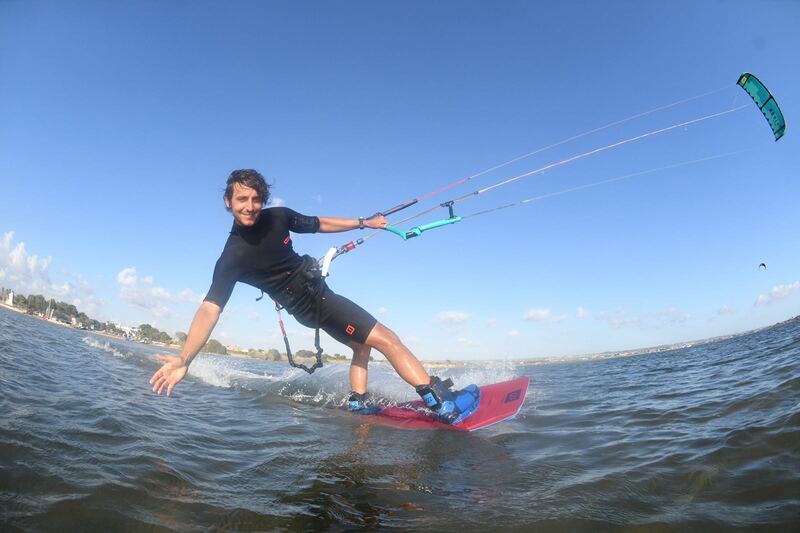 Certainly the most experienced riders know that the conditions of completely flat water, with any direction of wind, make this place a real kitesurfing gym, not surprisingly, in fact, numerous internationally renowned athletes frequently visit Punta Trettu to improve their skills in the Freestyle discipline. 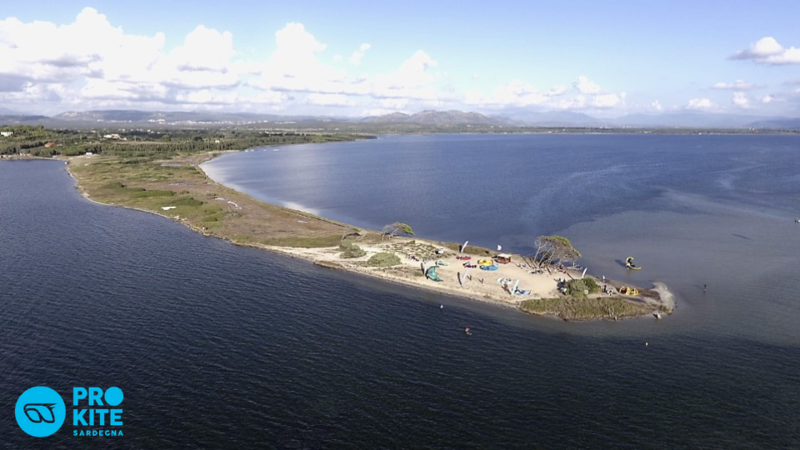 Well, certainly this place is worth a visit and we are sure that this paradise will make you come home full of beautiful memories and with a great desire to come back to visit us. Our center, 20 meters away from the spot, offers all the useful services to allow an ideal stay in this place, such as: Relax area with spot view, bar point for members, Free WI-Fi, toilettes and showers, private parking, barbecue area and all the services related to the kitesurf school as courses for all levels, equipment rental and a boat always available for rescues at sea. So what are you waiting for? Visit our offers and come to live with us an unforgettable experience in an authentic and wild Sardinia.